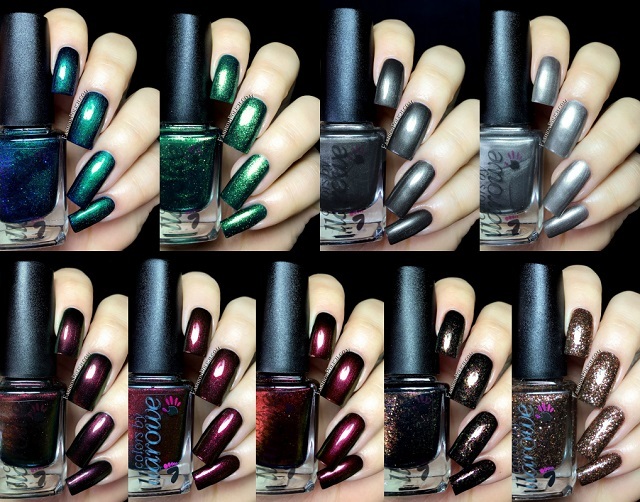 Fashion Polish: Colors by Llarowe Fall collection part 1 : the shimmers and glitters! 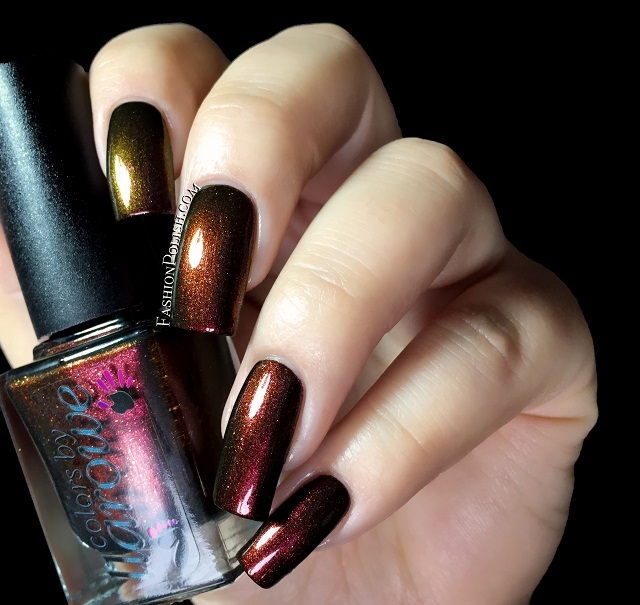 Colors by Llarowe Fall collection part 1 : the shimmers and glitters! Sophistication is a mushroom silver chrome that dries to a semi matte finish. Formula surprisingly thin and really easy to work with. Minimum brushstrokes and full opacity after 3 thin coats. Mystique is a deep mushroom semi chrome grey with gold and khaki shimmer. Formula was similar to Sophistication : thin, semi matte and relatively brushstroke free. I used 3 thin coats plus topcoat. 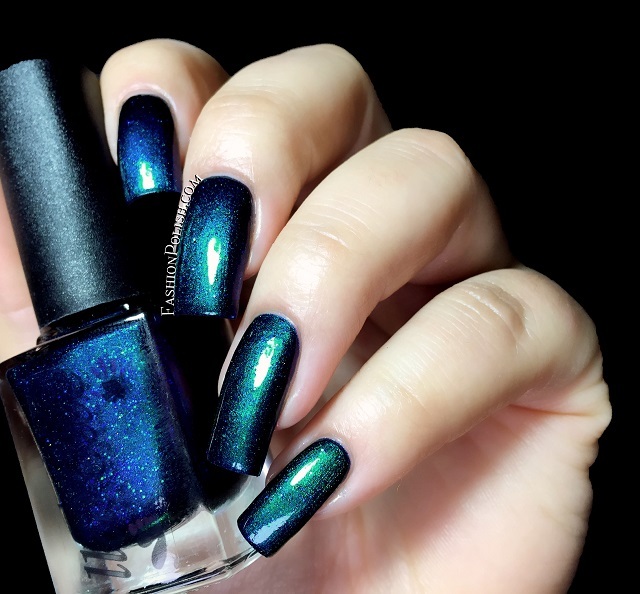 Swear Jar is a deep teal jelly base with intense gold shimmer. 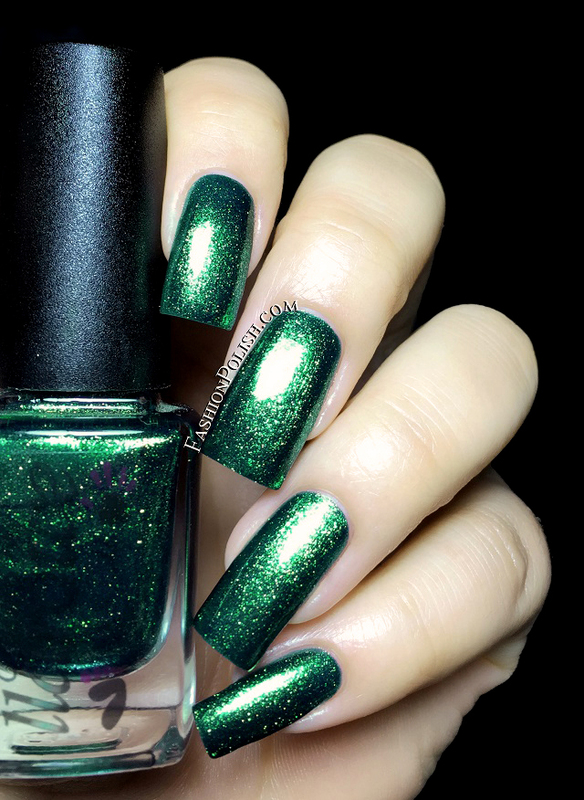 Intense, sparkly, glass flecked shimmer! Shown here : 2 coats plus topcoat. 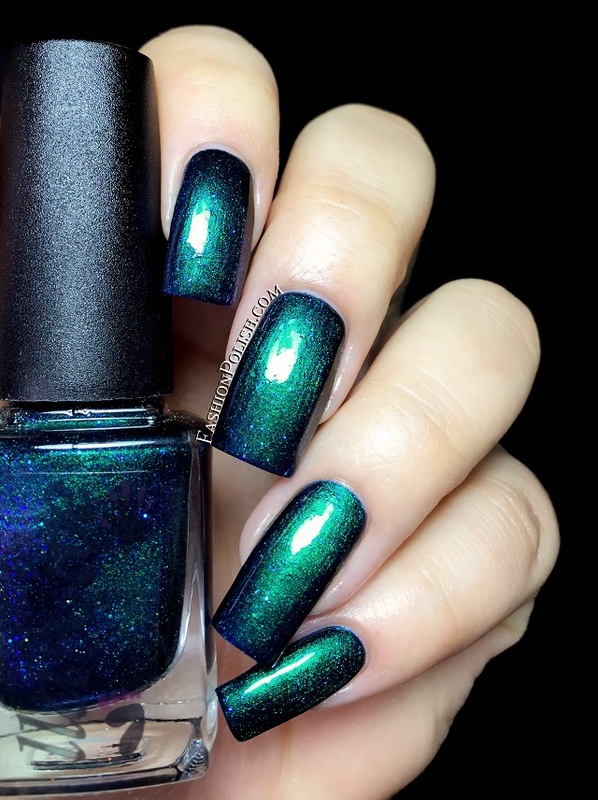 Midnight in Montana is a deep green to blue to purple multichrome with turquoise and sky blue irirdescent shimmer. a.m.a.z.i.n.g. 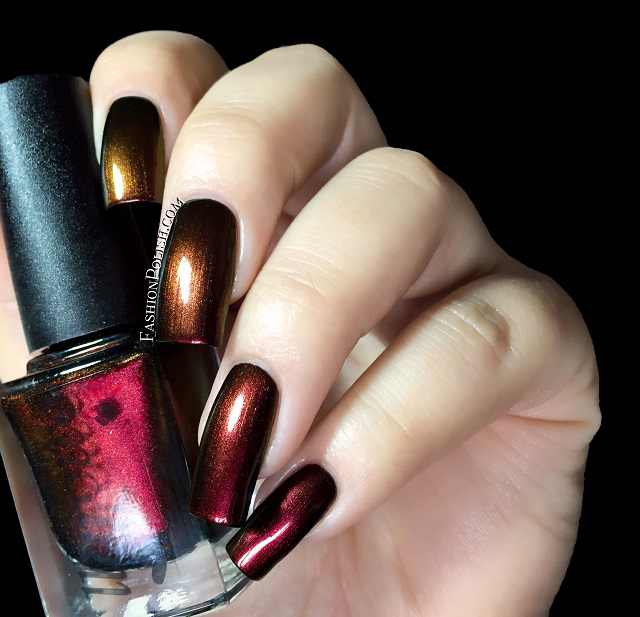 One of the best multichromes ever! Shown below : 2 coats plus topcoat and no undies. 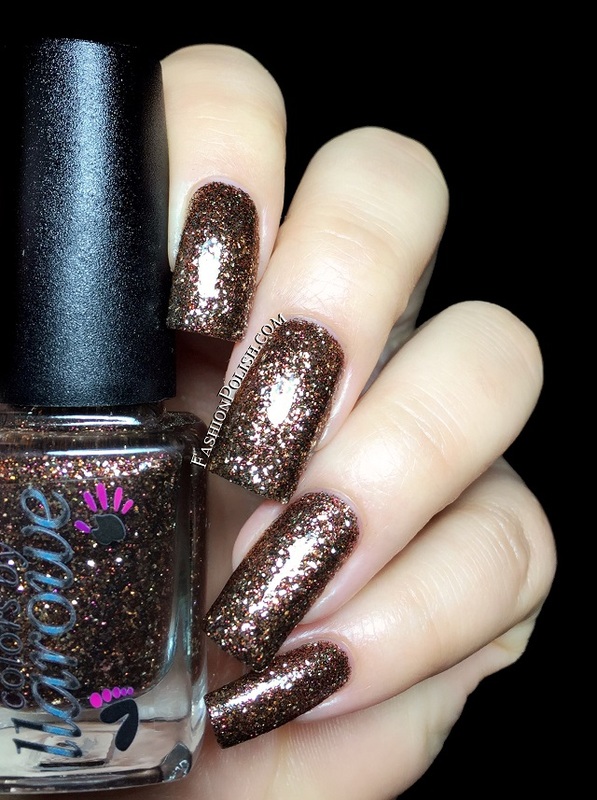 Cabaret is a clear jelly base with gold and silver flakes with rose, red and copper shimmer. Lots of sparkle and easily build-able. I used 3 thin coats but probably would have stopped at 2 in "real" life. Elegance is a black jelly base with gold flakes and gold, red, copper and pink shimmer. One would think that there just cannot be that many different black flakies and yet... This one hits a soft spot for me, right up my alley! Great formula and application, 2 coats coverage. 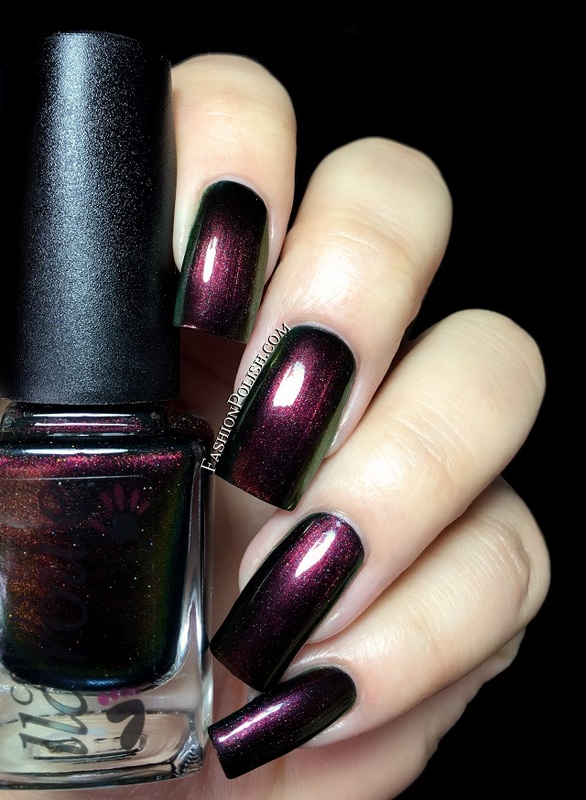 Sphynx (limited edition) is a deep blood red to copper to black multichrome. 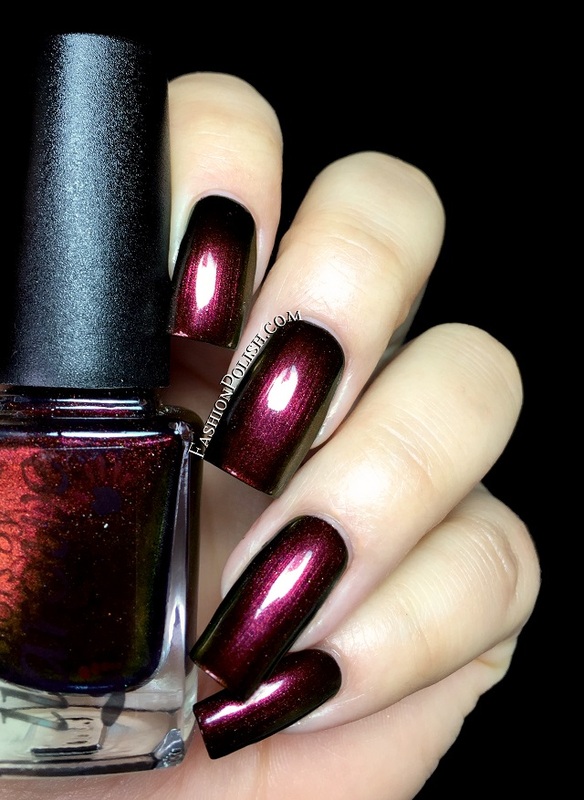 The CbL multichromes are so impressive, love! Used below : 2 coats plus topcoat, no layering. 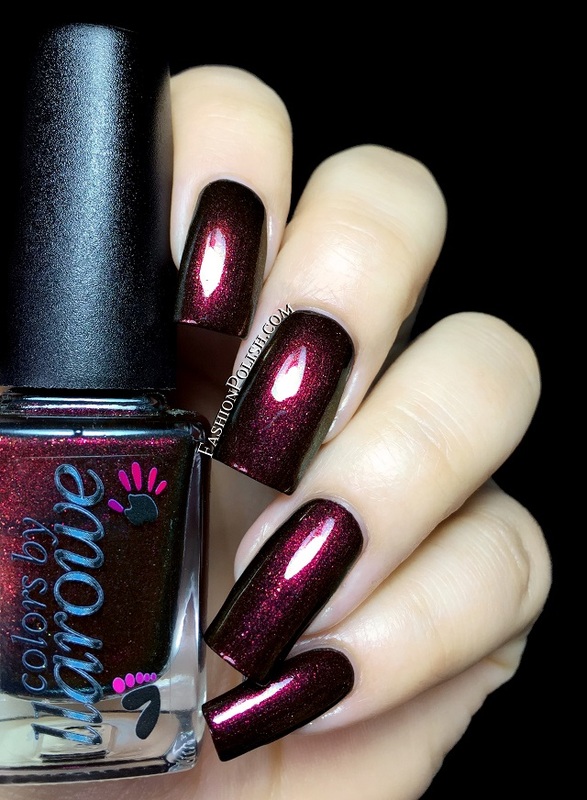 Burning Ambers (limited edition) is a deep chocolate brown to black to magenta multichrome with intense magenta red and copper shimmer. Again, 2 coats plus topcoat, flawless and pigmented formula. 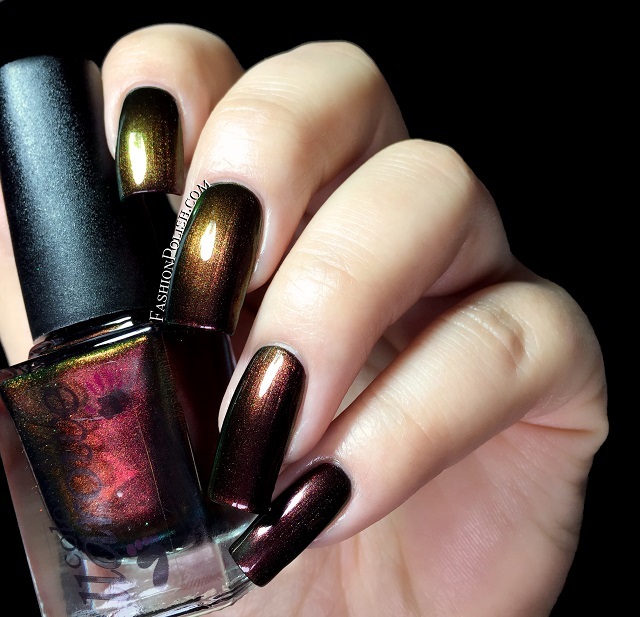 Sherwood Forest (limited edition) is a forest green to red to copper to gold intense multichrome. This one has the strongest color shift of the collection, spectacular. Coats used : 2, over base coat. The Colors by Llarowe Fall 2014 is being restocked tomorrow Thursday, October 23 2014 on llarowe.com at 12:00pm MDT and again at 7:00pm MDT. Limited editions will not be included.